First of all, a hearty "welcome" to you new subscribers. I hope you'll find Nose to the Ground interesting, useful, and fun to read. You'll discover our subject matter tends to wander all over the map, in part because the scope of Your Guide--- is rather broad, in part because it's sometimes fun to wander all over the map! Following this month's article you'll find links to several past articles. You'll see what I mean. We've had unusually wet weather in early April. The horses, who really seem to enjoy the winter snows were not terribly happy with the rain and mud. But things are drying out and we're starting to get nice weather. Mother's day is May 9th. This edition of Nose to the Ground is being sent out a week early as several of our partners have specials on gift items and there's still time for online shopping. You can Shop for Western Wear at Sheplers. Their "Biggest Sale of the Year" is running through April 30th and there is a special Mother's Day Sale on items for the garden. A little off topic maybe but what the heck. Gift ideas from Back In The Saddle - gifts & apparel for horse lovers is a worth checking out as there is the usual large selection of quality items plus the 60% Discount section may have a nice gift idea. I have to mention Show Stable Artisans - The Equestrian Jeweler. 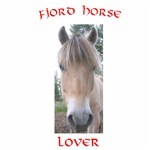 While they're not advertising any specials for Mother's day this is still a place shop to visit for fine equine jewelry. And don't forget the "Gifts for Her" section of our Gift Shop. Unfortunately the popular tote bags have been out of stock though they are expected to be back in stock soon. Nothing really elegant or pricey here but you're invited to take a look, especially if you haven't yet visited the Shop. The wall clocks are back in stock. They were temporarily taken out of stock when defects were found in a recent shipment. The problem has since been resolved. And it's not too early to start thinking about Father's Day The "Gifts for Him" Section has some possibilities. New in April are pages on vacations on horseback including ranch vacations, trail rides, cattle drives and horse roundups and drives. As riding season approaches it's a good time to start planning. In fact, it may be a little late for horse and cattle drives. There are not many of them and participation is generally limited to 10 or 20 riders so you may have to wait until next year. It can be the same for some backcountry pack trips. The US Forest Service and other agencies often limit the size of a party to preserve trails, meadows and the like. So, plan in advance. One of the features we've added - a page on what to bring. I keep adding to it although on a horse or cattle drive you'd want to travel light. Both my wife and I are great for bringing along "just in case" items so my list is to pick and choose from - unless you're bringing an extra pack horse. A horse drive that I find intriguing takes place annually in Iceland. I'll admit the chances of my participating are rather small but next year we'll likely be paying a visit to Denmark where my wife Lone comes from and since Iceland is between here and there...... one never knows. The message behind all of this? A vacation on horseback can be a wonderful gift, even though not something easily wrapped. You can really earn a "You Did GOOD!" with such a gift. I tried to think of an article that might fit into a Mother's Day theme. Didn't even come close as you will see. Following this month's article are links to some past articles that might be of interest to you if you missed them. May Article -Installing a Ground Feeder in Four (or More) Easy Steps, or "Lars and the Giant Spittoon"
Spittons vanished from the scene before many, probably most of you, were born. When I was a little guy there were spittoons in the lobbies of the local post office, the bank, the barber shop, and most certainly in the saloons and bars (unless they had sawdust on the floor). I don't know who cleaned them out, I can't imagine the postmaster or bank manager doing that but it was a small town so maybe they did. Recently I purchased a ground feeder for the pasture so I could put in 2 or 3 bales of hay at a time, keeping the hay out of the mud, snow, or dust and dirt. The feeder resembles a giant spittoon. It's brown in color, not brass as a real spitton should be. Step 1 - Place the feeder in the desired location and fill with hay. When I put it inside the gate the horses were a little leery about it but overcame their concerns when I loaded it up with hay. Step 2 - If the feeder is moved simply put it back in the desired spot. Eventually the hay was eaten at which point the "spittoon" became a toy! One morning I found it about 25 feet from where I had placed it. I put it back. A short time later I heard a "boom - boom- boom" and saw Lars, our youngest Fjord but the biggest and strongest, lifting one edge of the feeder and dropping it. Now I knew who was responsible for moving it. More hay. Late at night I faintly heard the "boom-boom-boom" coming from the pasture. Step 2A - Repeat Step 2, but this time have a plan. Next morning when I walked out to the pasture the spittoon was gone! Well not gone totally. It was a good 100 yards away and down a little slope. I had to pull it back, uphill, about 5 or ten steps at a time. That sucker weighs about 150 pounds and is awkward to handle. Lars came over to watch but not to help out. As I inched my way back to where the feeder belonged I remember what Xenophon taught. "Never get angry at the horse". Step 3 - Some stakes/posts may be necessary to keep the feeder from being dragged about. On a good day, I think I'm a little smarter than Lars. I put some stakes thorough the holes in the bottom of the feeder. Later in the day he lifted the feeder over the stakes. So I drove in a couple of T-posts so he couldn't drag it anywhere. Later on the feeder was in place but tipped at a 45 degree angle. Step 4 - If all else fails make the feeder to heavy to move. Then I hit upon the perfect solution. I took an 80 pound bag of tube sand, enclosed it in gardening wire mesh so he couldn't chew open the sack, and placed it in the feeder. Then, more hay. Next morning the feeder was still there. I had won! However the wire mesh was outside. It had been ripped off of the sack and the sack itself had a couple of corners chewed and was beginning to leak sand. A little later I saw Lars grab one end of the sack in his teeth and toss it a couple of feet into the air (told you he is strong). With some practice he'll probably get it out of the feeder. So I may not be done yet. I may have to delay construction of my round pen until I get the spittoon situation resolved. I haven't seen anything in the books on horsemanship on this particular problem which is why I'm sharing it with you now. I still believe the spittoon was a good choice. A ground feeder as a Mother's Day gift? I don't think so. If you do give your Mom one I'd like to be there when she sees it. If you've authored an article you'd like to share please contact us. Of course you'll get full credit and a link to your website when published. See you in June. Oh yes, I got the flagpole straight again.